Home › Usborne Lift-the-flap first questions and answers How Do Flowers Grows? 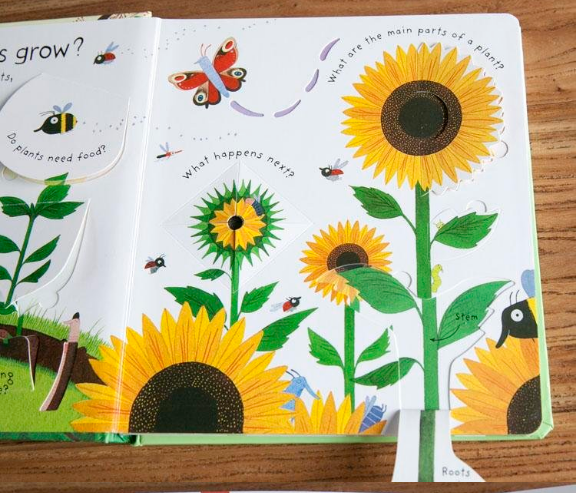 Usborne Lift-the-flap first questions and answers How Do Flowers Grows? How do flowers grow? 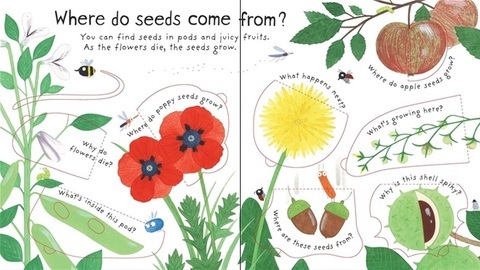 Where do seeds come from? Why do leaves fall? 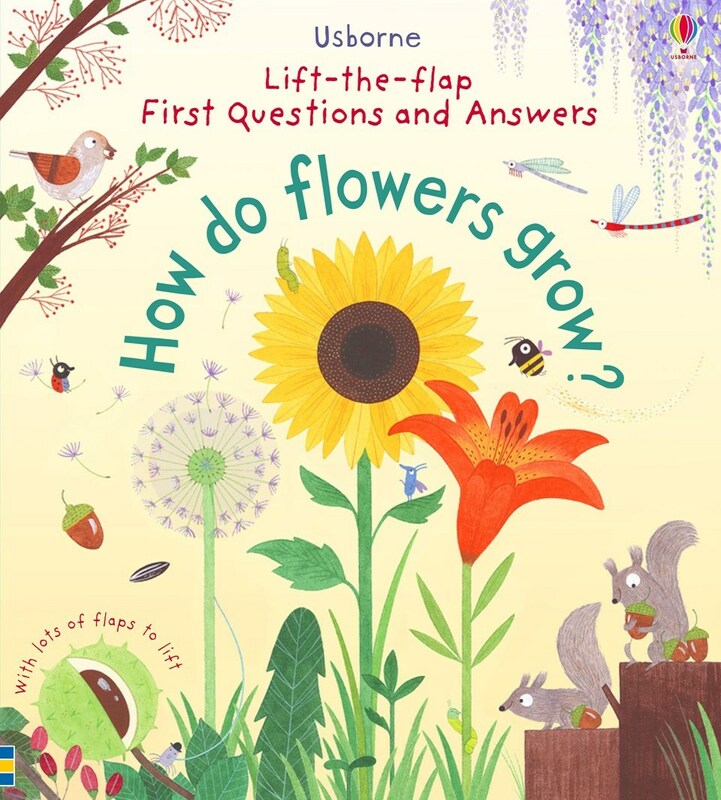 Little children can find out the answers to these questions and more in this beautifully illustrated lift-the-flap book. 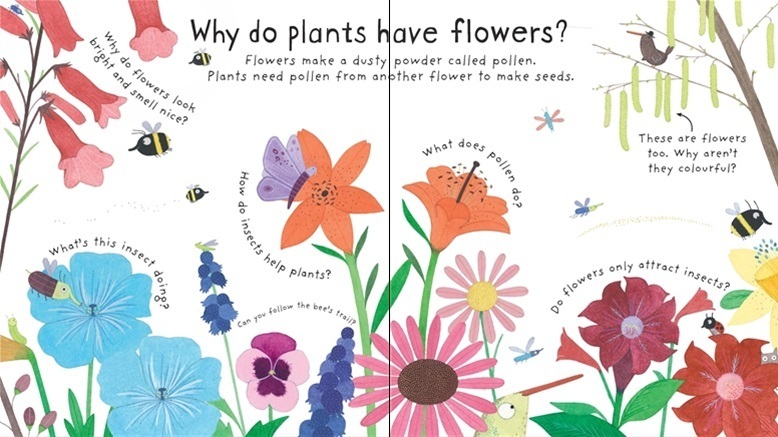 Each page asks a different question, such as “Why do plants have flowers?” The colourful illustrations, large and simple text and chunky flaps reveal the answers. 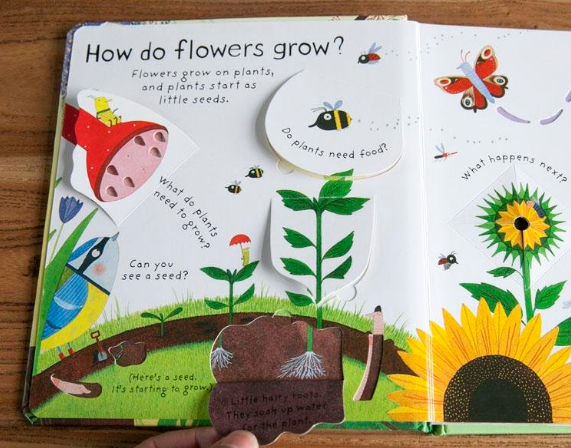 Children can discover a bee’s favourite flower, see inside a spiky conker shell and see how trees lose their leaves in winter. 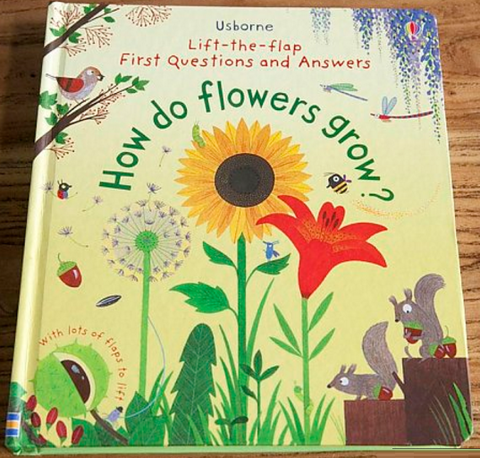 A brilliant introduction to nature and science for curious young minds.